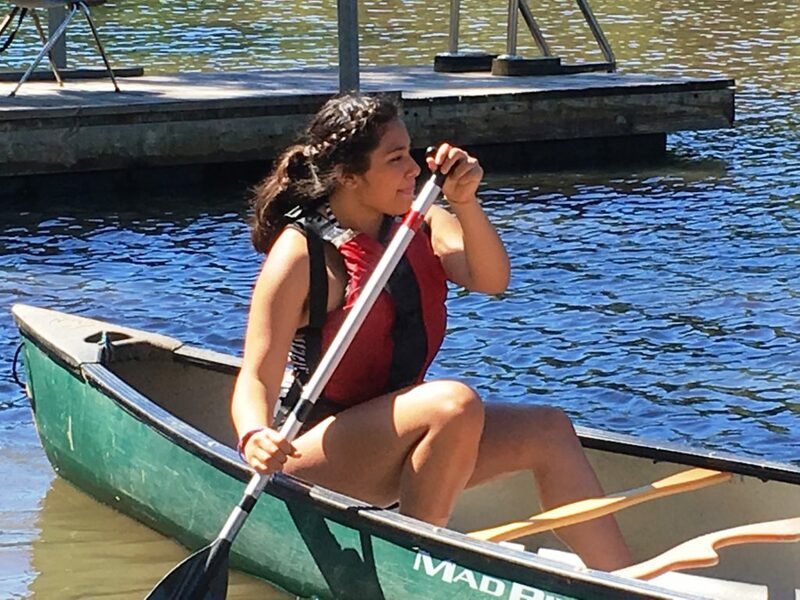 Imagine a week of canoeing, horseback riding, archery, swimming, rock-climbing, campfires, and more! Henderson County 4-H will be taking youth, ages 9–14, to camp at the Betsy Jeff Penn 4-H Center, in Reidsville, NC, July 7 – 12, 2019. Space is limited and will fill on a first come, first served basis. Cost: Traditional camp for ages 8 – 12: $425, Adventurers, ages 12-14, and Trekkers, ages 13 – 14: $445, Leaders in Training ages 15 – 17: $255. A down payment of $50 is due with the registration. Donors are always needed for camp scholarships. If you would like to help a young person go to camp, mail donations to Henderson County 4-H, 100 Jackson Park Rd., Hendersonville, NC 28792. For more information about NC 4-H camps, see the North Carolina 4-H Summer Camps page. Campers do not have to be 4-H members. Register with your 4-H Agent for a discounted price to any of them.